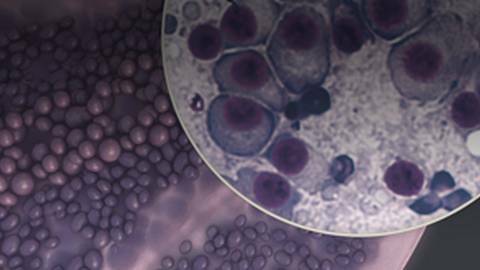 This activity reviews current treatments and therapies for the management of multiple myeloma. The treatment armamentarium for multiple myeloma (MM) has expanded significantly in recent years, with 6 new agents or indications approved by the US Food & Drug Administration since 2015. Treatment options now include immunomodulatory drugs, proteasome inhibitors, a histone deacetylase inhibitor, and immunotherapies, making clinical decisions much more complex. Additionally, best practices and consensus guidelines, such as those from the National Comprehensive Cancer Network® (NCCN®) and International Myeloma Working Group (IMWG), are constantly evolving as new data are published. Approval of these new agents, revision of response criteria, and implementation of new approaches to risk assessment and monitoring residual disease are causing significant changes in the management of MM. This activity will review areas of current controversy and topics for which consensus is not yet established, including when to initiate treatment, determining transplant eligibility, high-risk disease, duration of maintenance therapy, sequencing newly approved drugs, and choice of treatment at relapse. Sagar Lonial, MD, FACP, reported a financial interest/relationship or affiliation in the form of Consultant, Takeda Oncology, Celgene Corporation, Novartis Pharmaceuticals Corporation, Bristol-Myers Squibb Company, Janssen Pharmaceuticals, Inc., GlaxoSmithKline, Amgen, Inc. The following AXIS planners and managers, Linda Gracie-King, MS; Jocelyn Timko, BS; Kristen Baileys, RN, MSN, CRNP, OCN; Stephanie Sutphin, PharmD;and Marilyn Haas, PhD, RN, CNS, ANP-BC hereby state that they or their spouse/life partner do not have any financial relationships or relationships to products or devices with any commercial interest of any amount during the past 12 months.